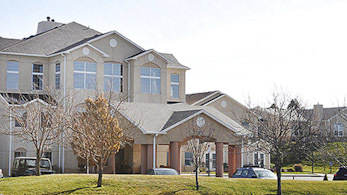 Located with commanding views of the magnificent Air Force Academy grounds, the foothills and majestic, snow-dusted Pikes Peak, you will find Liberty Heights' 26-acre campus, a continuum care retirement community where you can choose from a wide array of lifestyle options. Designed for those who want companionship and amenities with a hospitality-centered staff and a stimulating environment, Liberty Heights complements the best of Living Life with options to nurture the spirit for the lifestyle yet to come. Relax. It's time to Live Life to its fullest... Liberty Heights.